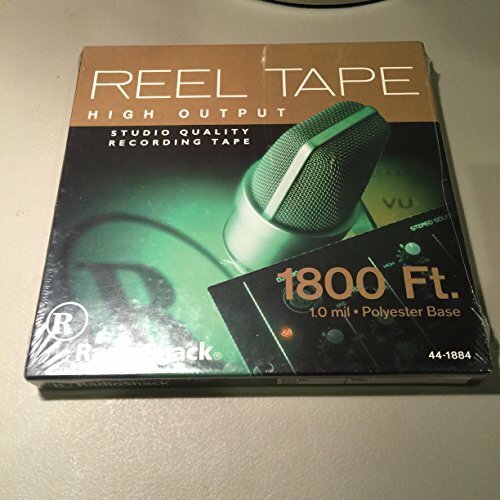 Reel Tape High Output Studio Quality Recording Tape 1800 Ft. by RadioShack at Riot Recordings. MPN: 44-1884. Hurry! Limited time offer. Offer valid only while supplies last. High quality. Custom assembled in USA. Running Times in Minutes: Times are in one direction, mono or stereo. Double (2x) the time for two directions. High quality. Custom assembled in USA. Running Times in Minutes: Times are in one direction, mono or stereo. Double (2x) the time for two directions. Quadruple (4x) the time for 4-pack mono.